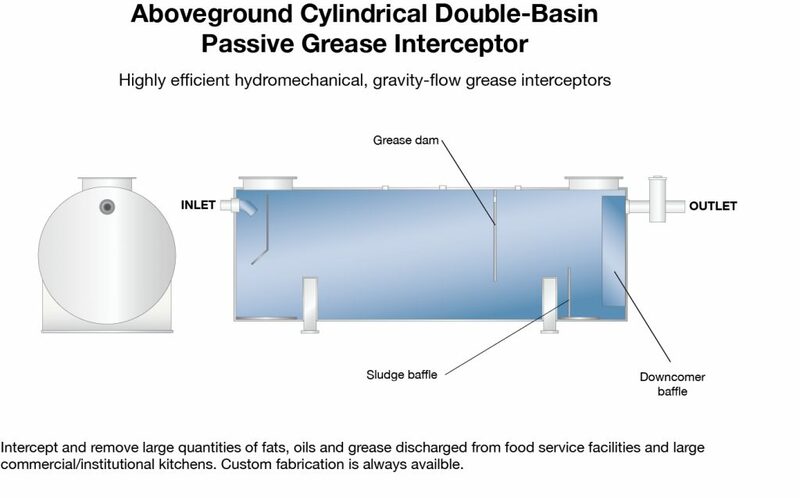 Passive Grease Interceptors (PGI) help FSE and food production/processing industries comply with the EPA Sewer Pretreatment Regulations. 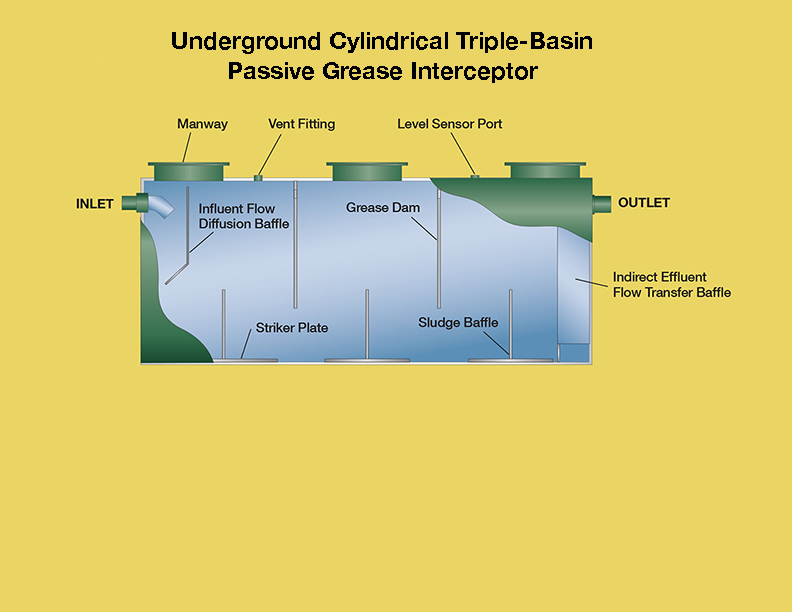 PGIs are high-performance gravity grease interceptors designed to intercept and remove large quantities of sewer clogging FOG and oily food waste before it is discharged in a municipal wastewater treatment system. 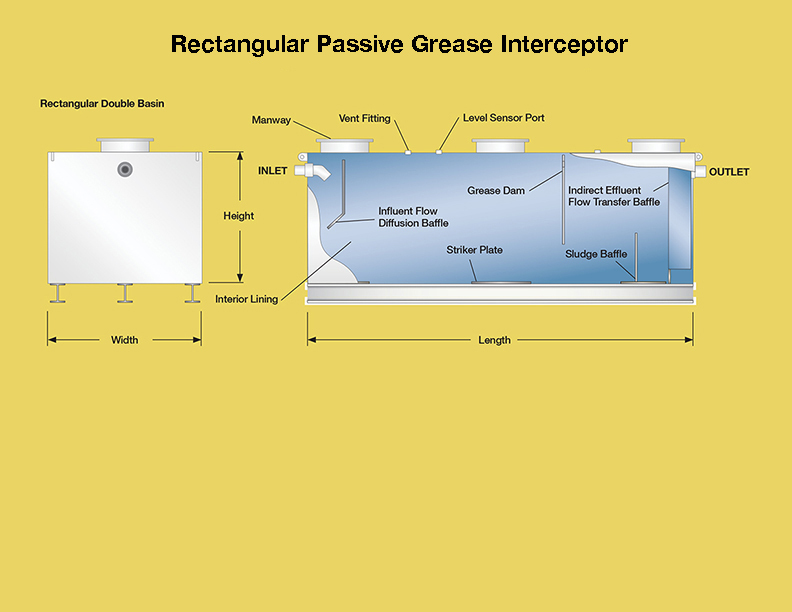 Passive grease interceptors help food service establishments and food processing industries comply with EPA Sewer Pretreatment Regulations. PGIs are designed to remove large quantities of sewer-clogging fats, oils, and grease before it’s discharged into a municipal wastewater treatment system. 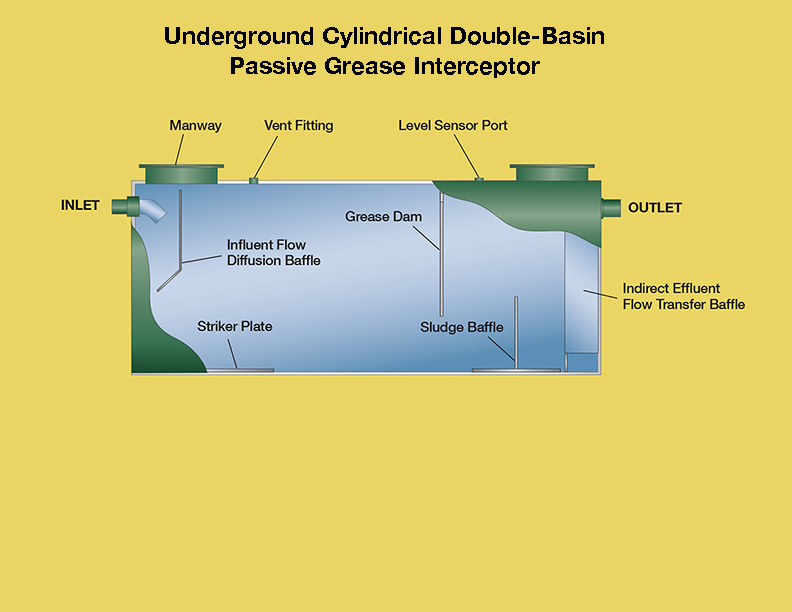 Designed to accept gravity flow, PGIs retain wastewater long enough to allow liquefied grease to cool,separate, and congeal. Three basin unit for enhanced removal. 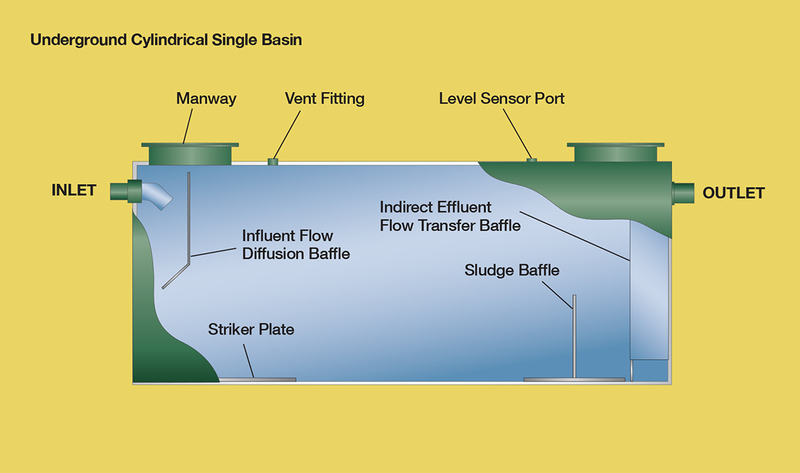 Third chamber can be equipped with an effluent pump when gravity flow is not an option. 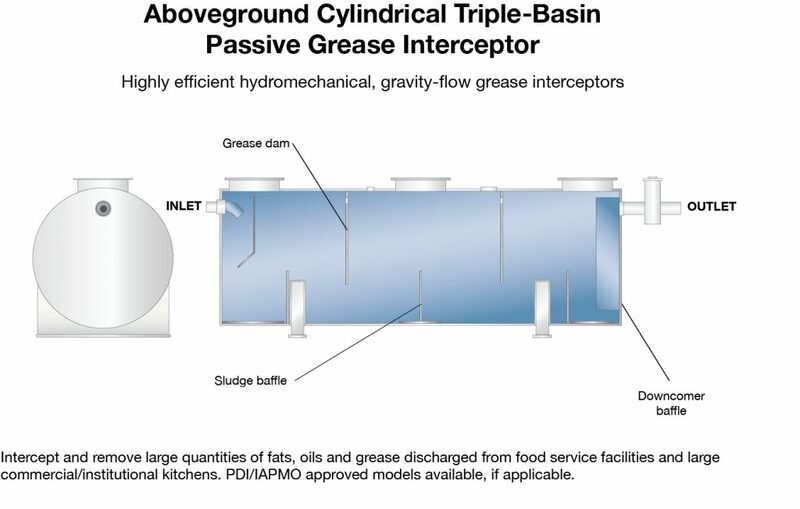 Rectangular PGIs can be installed aboveground to help food service facilities intercept fats, oil, and grease and prevent it from entering the municipal wastewater treatment system.